Submissions for Issue 19 are now open. Submissions for Issue 19 are due by March 1. Issue 19 is slated for release by May 18. We look forward to digging into your work! The Mock Turtle team is also judging the Dayton Metro Library Poetry Contest. Submissions for the contest go to the library and get filtered to the zine—see below. 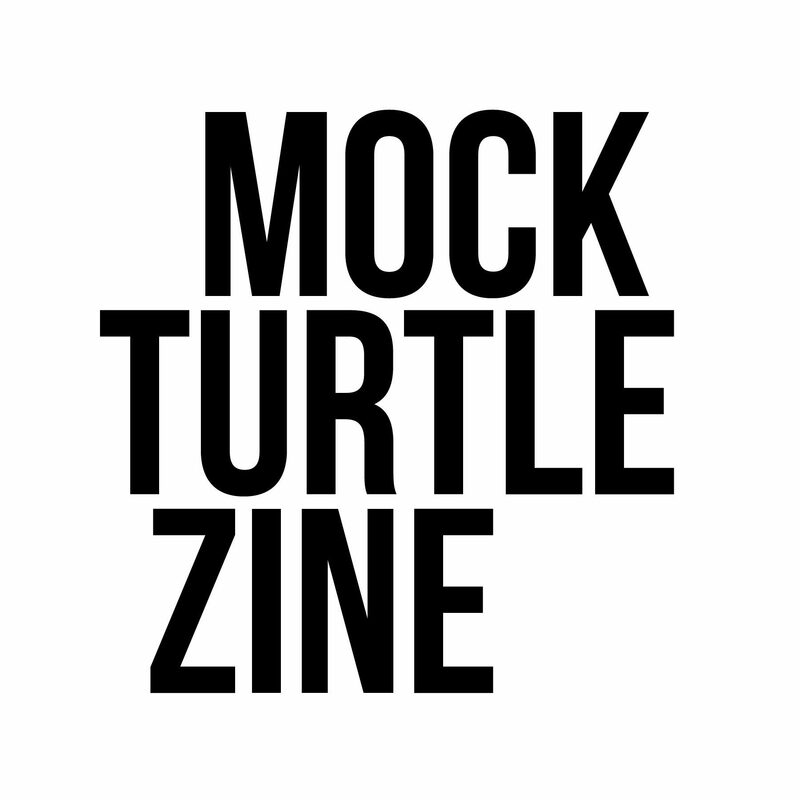 Send electronic submissions to mockturtlepress@gmail.com by end of day March 1. Please review the general guidelines as well as the author/artist guidelines below. Do not submit your work until you have reviewed these guidelines. ELECTRONIC SUBMISSIONS ONLY. Please, send to mockturtlepress@gmail.com. Do not copy and paste submissions into your email. Please, attach all submissions as Word, Open Office, or text documents. Submit up to THREE pieces per category: poetry, prose (fiction or nonfiction), drama, photography, and other visual art. If you submit more than three, we will stop reading/looking after the third. Send us the best, not everything, please! (We simply get too many submissions now to handle more. We’re volunteers, after all.) If you think you have an exception (such as a set of short related poems, like several haiku), then just check with us. Save each submission as a separate document. Do not submit multiple works in one document. Save each submission with last name first, then first name, then the title of the work. Sample: Rossetti_Christina_Remember.doc. Provide a short biography or artist statement in your email. Biographies should not exceed a short paragraph, four to eight sentences. We print abbreviated (one to two sentences) biographies in the print publication. Although we have published work from outside of the Miami Valley in the past, we are a local publication that gives first preference to work submitted from artists and authors from the Miami Valley. If you’re not from the Miami Valley you may submit, but you’ve been forewarned. Thank you! You may submit any genre, any form. Poetry, song lyrics, fiction, and nonfiction all apply. In fact, we’d love some more nonfiction, so send some! Poetry and song lyrics should not exceed 70 lines. We prefer pieces under 30 lines. Fiction and nonfiction prose should not exceed 2,500 words. We prefer pieces under 1,000 words. Documents are accepted in Word, Text, and Open Office. Documents should be single-spaced in a black, 12-point Times or similar serif font, with one-inch margins. Avoid fancy fonts and formats. Documents should not include address, bio, word count, or other miscellaneous information. You may submit up to three pieces of literature. You may submit any artwork that can be represented in a two-dimensional image. Paintings, illustrations, cartoons, photography, etchings, woodcuts, and sculpture all apply. If you are photographing art, be sure to check light and shadow in the final image. All inside pages print in grayscale (black and white). Please submit only b&w images for publication inside the zine. Images should be between 800 px and 3200 px in width. We have expanded our call for submissions so we may have to decline some of your submissions. Please know that we will look at every submission and consider its merit in terms of the guidelines and the balance of content within the magazine. We’ll let you know one way or another. So, a word of advice? First, follow the guidelines. Second, don’t send us something hot off the mental press. Let it sit for a few days, and then look at it again. Revise! Ask a friend to read it and give you feedback. The stronger the piece, the more likely it will be accepted. Look for errors (misspellings, typos, syntax) to fix, and take the time to think about your content. If you wrote a story, does it have a conflict? If you wrote a poem, do you use imagery? If you wrote an opinion piece, do you state a clear perspective? For visual art, make sure you send us a strong image of your piece. If your artwork didn’t scan or photograph well, then scan it again, please. If your photograph is blurry, then perhaps consider another one unless the blur serves a definite aesthetic purpose. If a piece was not selected for publication, it does not mean that it did not have merit. It simply means that our team of editors judged other pieces to be stronger in some way. Thank you to everyone who had the courage and vision to put pen to paper, fingers to keyboard, eye to lens, and pen, paintbrush or other implement of creation to visual medium. Please, keep doing it, and send us more. Authors and artists retain all rights to their work. And no, we do not pay. We are not-for-profit and unable to offer compensation. hi. this sounds stupid but i want to ask it just to be sure. i’m from Pacifica, California. Am I elligible to join? I am from southeastern Ohio – Albany – an hour and a half from Dayton. To be clear, one must be a Dayton area writer to submit?